Virtute has been spending a lot of time studying social media these days. After the surprising success of his blog, he has become obsessed with counting the number of likes that he receives on Facebook. He’s also become an astute student of internet “memes” in hopes that he might be able to boost his own reach on the World Wide Web. 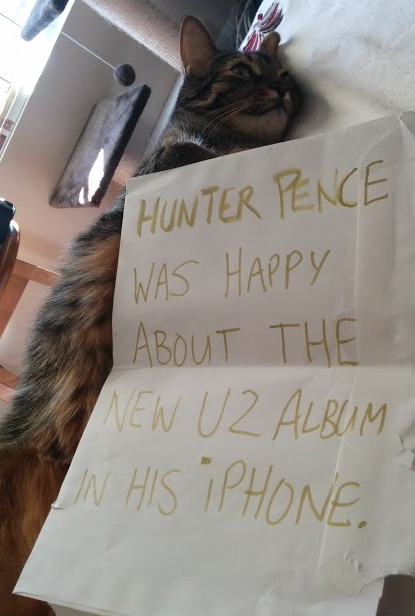 Recently he’s been following Hunter Pence Signs in which opposing fans troll the San Francisco Giants Right Fielder with signs that are ridiculous but show him in a negative light. He begged and begged to do one. I thought he was done, but he nervously turned back and said, “Can you please write on that blog that I hope many people will “like” this post on facebook and that they will “share” it with their friends.” And, well, that’s what I did. Ouch that got me in the feels!